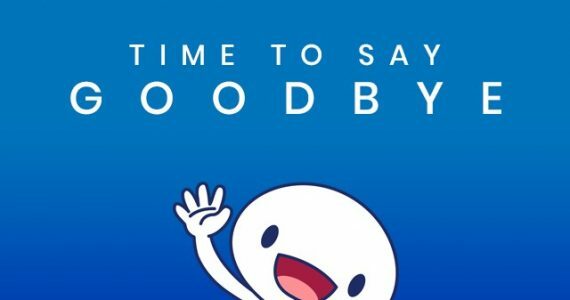 TM has taken down a section of the unifi’s official website which allows unifi and Streamyx customers to check their eligibility for the upcoming speed upgrade exercise that was announced by the company earlier this month. While this move might seem rather odd, it is not exactly surprising though especially considering what have transpired yesterday. Not long after the speed upgrade eligibility section went online yesterday’s morning, unifi’s official website started to become rather slow to load. 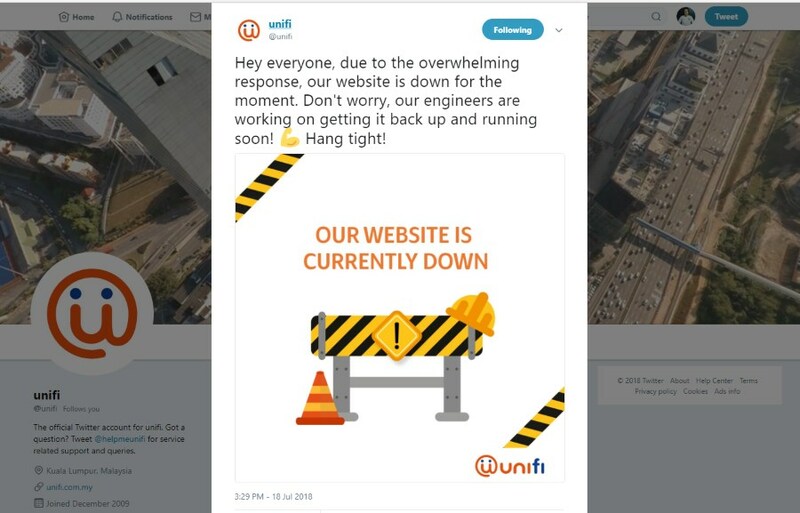 We then noticed that the site didn’t load at all when we visited it at around 11am and eventually, TM posted this notice on unifi’s Facebook and Twitter page at around 330pm. We didn’t notice when exactly the site went online again but certainly, it came back without the speed upgrade eligibility section. Not only that, visitors would be redirected to the site’s main page if you tried to access the section using its direct link. While there is nothing out of ordinary about the email itself, pay attention to the date stated in it. 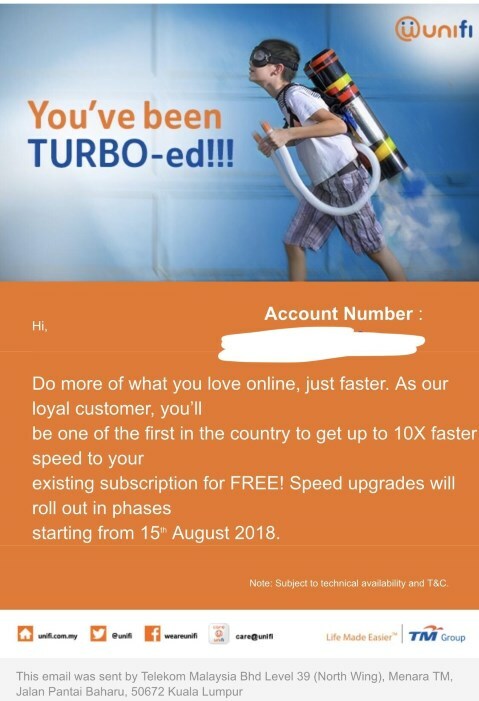 Most of the forumers that shared the screenshot of the email shows that they will speed upgrade starting from 15 August 2018 but this particular screenshot showed 21 July 2018 instead. 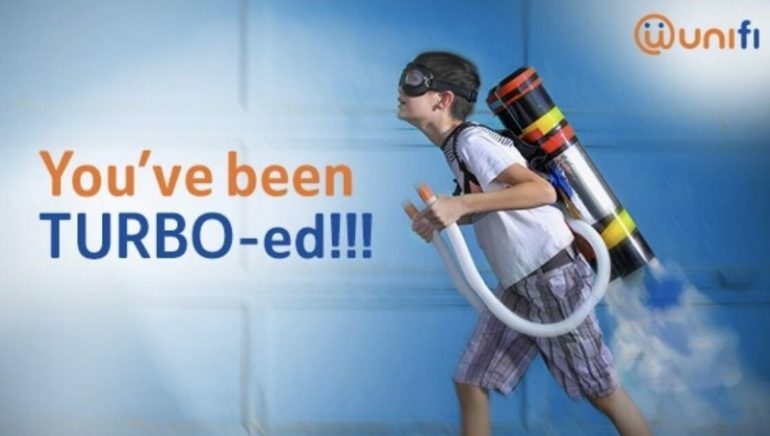 All in all, the speed upgrade that TM promised for unifi customers are definitely on its way. Just that it might be wise to wait until the upgrade is applied to their premise rather than depending on unifi’s website or email notification.